Reduction from Peak Body is the fat loss pill which has been taking the world by storm. 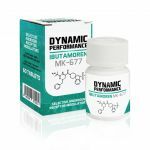 This supplement has been shown to dramatically aid weight loss when used alongside a healthy diet and exercise. Reduction is specifcally aimed at the overweight and obese with a BMI of 30 or more while also helping those with health problems related to weight issues. The main ingredient in Reduction is Lorcaserin, which was first approved by the American FDA in 2012. Two major clinical studies have shown that Lorcaserin can accelerate your weight loss. Not only can Lorcaserin improve your weight loss, it can also help to improve certain health risk factors such as high blood pressure, high blood sugar and high cholesterol levels. Losing weight is as much mental as it is physical, hunger and snacking can undo a tough workout in just a few snacks. Your brain has a million jobs, but one of the main ones is to never let you get too hungry, which means when you’re dieting and eating less your brain thinks you’re starving, sending brain signals and making you want to eat. Lorcaserin helps you feel full by targeting the hunger receptors in your brain. Neurotransmitters like serotonin can make you feel full, Lorcaserin is believed to selectively turn on your fullness receptors, allowing you to feel fuller while eating less. Weight reduction pills have been promising for years to deliver fast and effective weight loss, but nothing has delivered results like Reduction. For more information on any side effects please visit peakbody.co.uk. Great Weight Loss - Reduction has been shown to help you lose weight quicker and may help to keep weight off. Suppresses Hunger - Lorcaserin targets the hunger receptors in your brain to help you feel full quicker, reducing the amount you eat. Perfect for the Overweight and Obese - Reduction is specifcally aimed at the overweight and obese with a BMI of 30 or more while also helping those with health problems related to weight issues. Helps those with Medical Conditions - Not only can Lorcaserin improve your weight loss, it can also help to improve certain health risk factors such as high blood pressure, high blood sugar and high cholesterol levels. FDA Approved - The main ingredient in Reduction is Lorcaserin, which was first approved by the American FDA in 2012.
Who is Peak Body Reduction For? If weight loss has you down and you feel like you’re not getting anywhere with your diet regime, why not give Peak Body Reduction a try. Reduction has been tried and tested by dieters all across the world and has been seen to accelerate weight loss and give results. Lorcaserin has not produced very many side effects but certain populations may have certain side effects to look out for. Headaches, dizziness, fatigue, nausea, dry mouth, constipation, cough, low blood sugar (type 2 diabetes) and back pains have been shown as side effects. However in most cases there did not seem to be any harmful side effects.